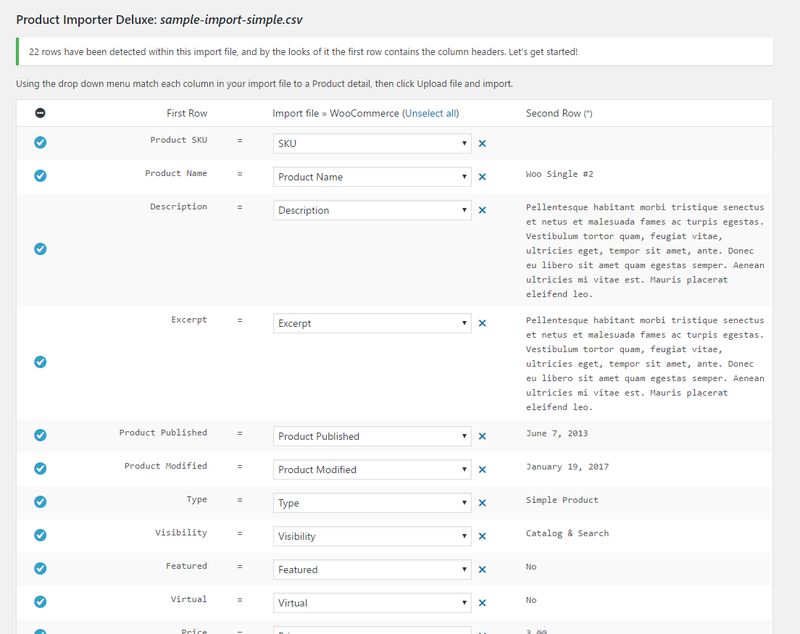 I’ve done an import with the default importer that comes with WP E-Commerce and it puts in the correct weight according to my csv. Same problem here… I put in g for grams but it shows up at pounds and my weight based shipping get screwed up. Am I doing doing wrong ? Hi, I was wondering if you have a sample file for the latest version that has the variation support. I am wondering how to format my file with the variations so they upload correctly. To which folder do I upload images if i am using WP E-Commerce 3.8.3? 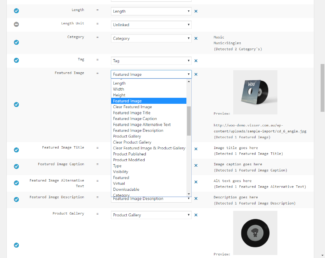 Hi Kim, in WP e-Commerce 3.8.3 you upload Product images to /wp-content/uploads/%year%/%month%/, replacing %year% and %month% with the current date. This is explained within the provided readme.txt within the Plugin archive. Oh, I was reading the readme on the website and it says coming soon . . . will use the readme inside the plugin files from now on. Thanks Michael – saving me time already! OK, the only thing that I can’t get right is the Stock Quantity. How do I set this in the csv to zero stock so it can’t get ordered? I currently have it as 0 in the quantity column which isn’t working. Just purchased Product Importer Deluxe today. 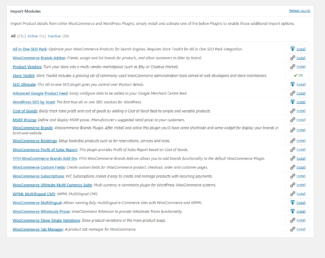 My plugin page shows version 2.8.4.3, wp e-commerce is 3.8.4, Gold Cart is 2.9.2 and WP is 3.1.3. I’m setting up the site under MAMP (localhost install). 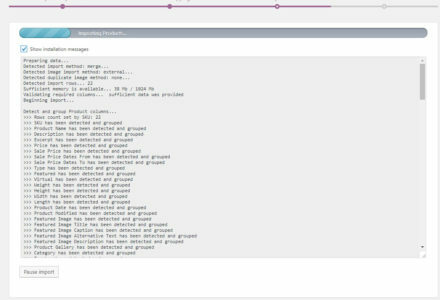 I’ve set up a test CSV file with image info but after I import it, image is not included in field mapping nor do I see any of the Step 3 import options. Michael found the problem offline. It involved poor reading skills on my part! Thanks. 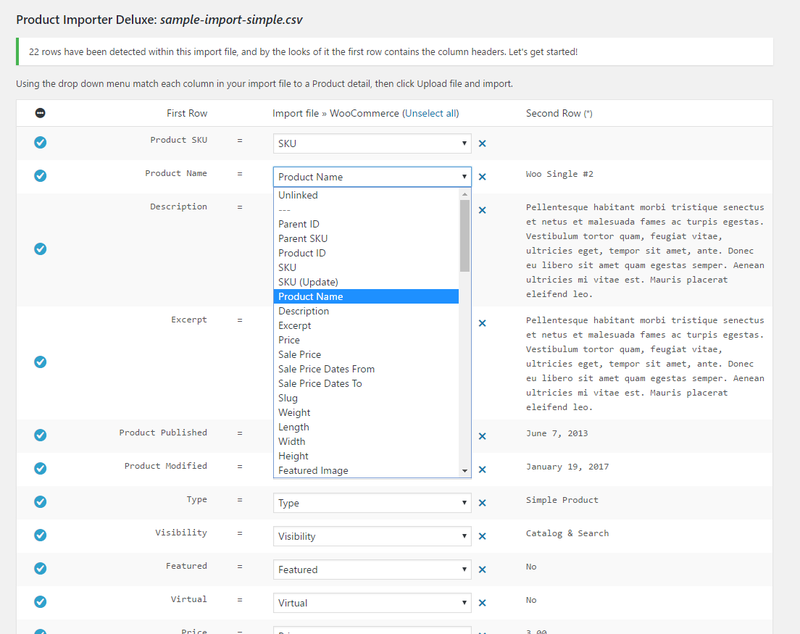 And also how do I format the Categories & Tags fields in the CSV file? What are the > and the | ? Things are working much better with this update. Very good job ! 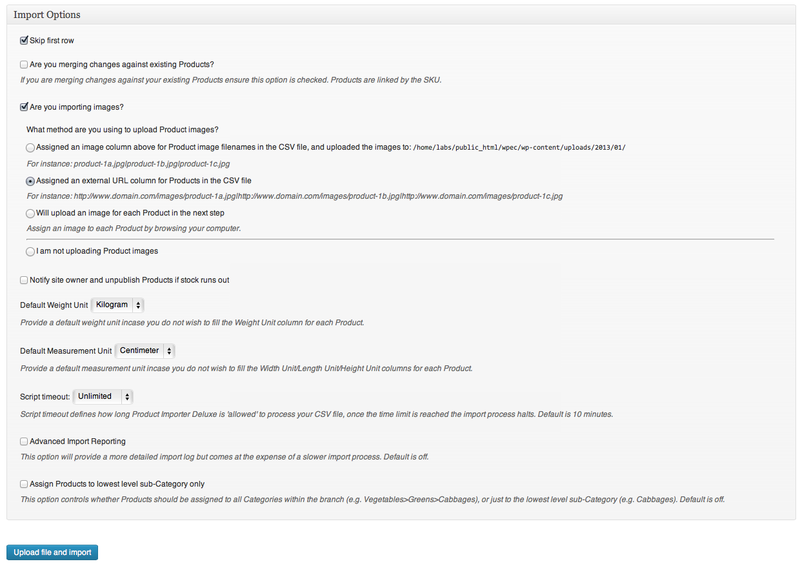 * When merging changes into existing products, price update do not work (message : “A duplicate SKU already exists”). If SKU is the same, the record should be update. Isn’t it ? 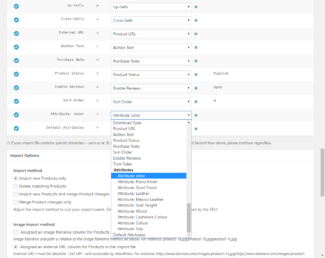 * When merging changes into existing products, a new product is not added if not found in catalogue. If SKU is different when merging records, the new record should be add to the catalogue…. 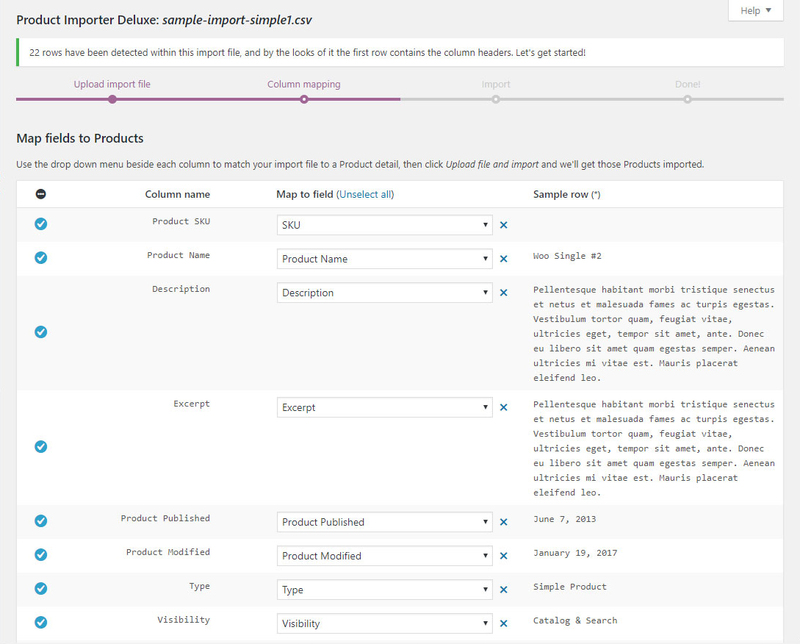 BUT this option works when importing WITHOUT merging changes into existing Products (old records are omitted and new record is add). I get this error after a couple seconds of attempted import. I have added “define(‘WP_MEMORY_LIMIT’, ’96M’);” to wp-config as suggested in documentation. False alarm! I tested it on my MAMP server and everything worked great! I’ll see what the deal is with my host. Thank you for the hard work, Michael. Any hope in the ability to merge custom field updates? zachary, good stuff. You had me worried! I’m also having trouble updating Categories? 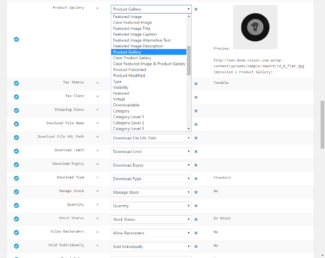 What are the instructions for doing this…particularly if I would like to add a category to a product that already exists in other categories? 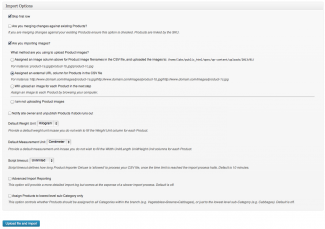 Did you have success merging category changes into your products? I can’t find documentation on how to do this on this website. Managing (and importing) categories still seems something tricky. I’m actually working manually on my 333 categories. I will wait for an plugin update to test merging categories. Hi zachary, I’m updating the documentation section for this Plugin as well as outlining current features and pending features. 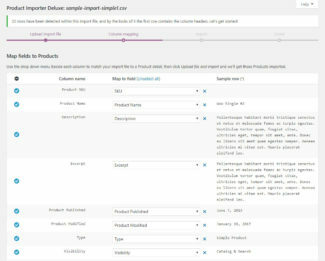 Product Importer Deluxe does not yet support the updating of Categories to existing Products through the merge feature, once I have a recursive solution for the sub-Category drill-downs I can apply this feature to merge but until then you will need to remove and re-insert Products requiring new Category associations. Just an additional voice: I would also like to see the updating of categories through the merge feature. In Importer Deluxe. I can’t seem to get the File Download working. I tested with supplied sample CSV file and created a dummy downloadable file with same name as the one in the CSV (Thomasjefferson.zip). But it does not get attached. Is there something I am missing? The rest of the process seems to be working. I have about a thousand files to attach to products. 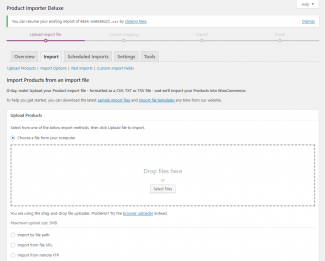 Hi Ben, let me confirm that this is working, are you using WP e-Commerce 3.7 or 3.8? 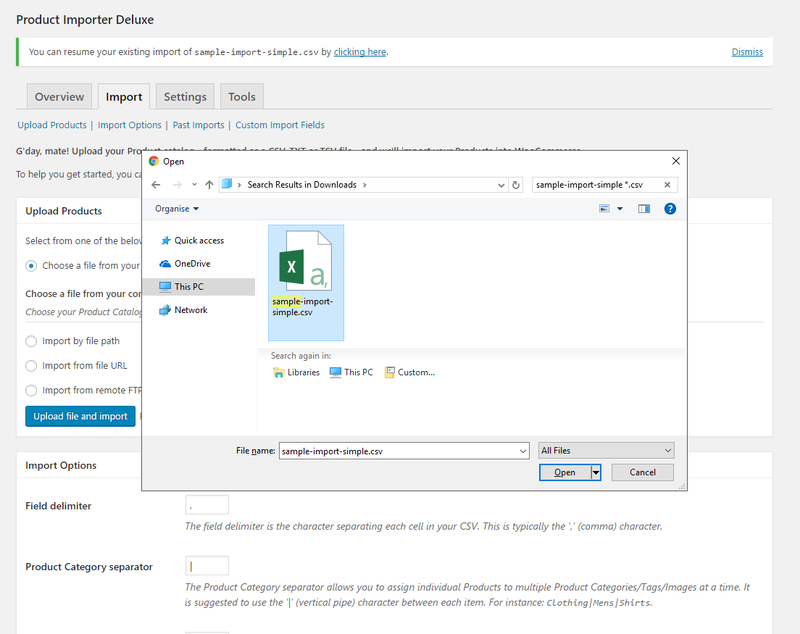 3.8.4 for WP e-commerce. 2.9.2 for Gold Cart and 2.8.4.1 for Importer Deluxe. I will update to 2.8.4.2 during the day. 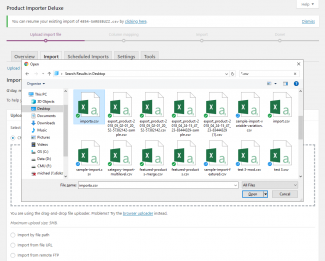 3.1.3–en_US for WP. Michael, Any news on this? Michael? Any progress? I am shurely not the only one with this issue. 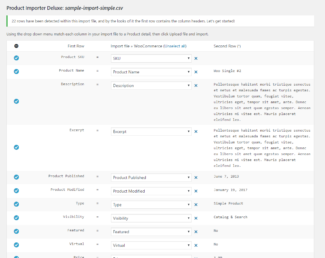 When I am importing products i use the “Assigned an external URL column for Products in the CSV file” option for uploading images. 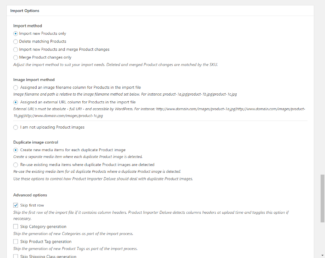 Now the images are uploading to the wpsc/product_images folder and it creates the thumbs but, when i view the products the images aren’t attaching to them. also the price, sale price and all the dimensions are not being applied. 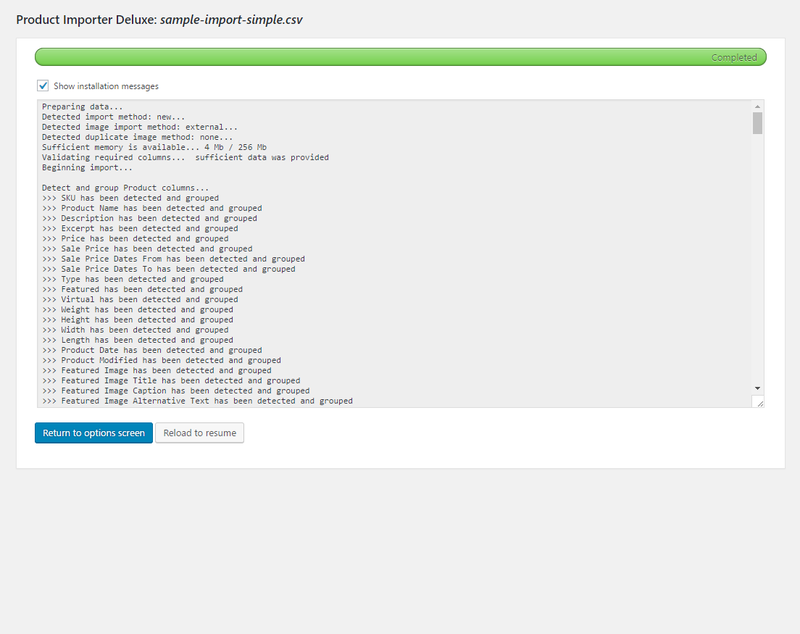 I’ve followed the CSV format they suggest but i’m still having these issues. 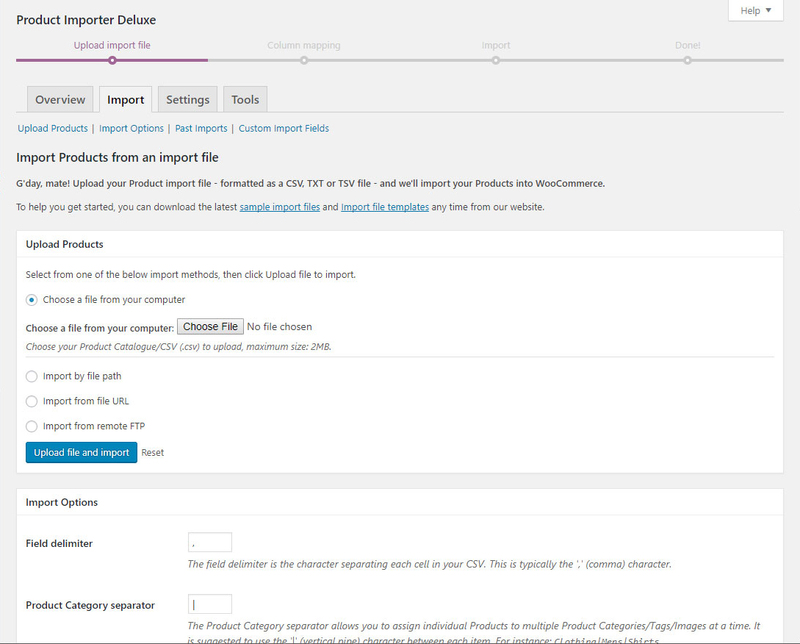 Hi Tom, can you please confirm if you are using WP e-Commerce 3.7 or 3.8 on your store, thanks Tom. Hi Michael, much appreciated for getting back to me. 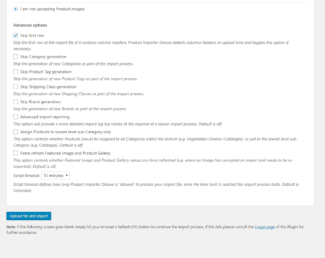 the version of e-commerce i’m using is 3.8. and just to reiterate, the images are not attaching themselves to the products but they are uploading. also the dimentions are not being actioned, as well as the sku and prices are just incrementing not being added form the csv. Hi Tom, I’ll be looking at this today, can you shoot through WP Admin, CSV and FTP access so I can confirm my changes are working in your store. 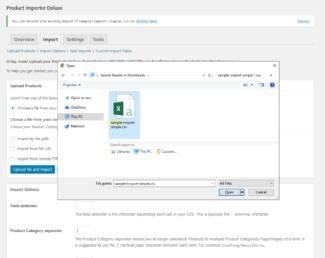 Just pushed out the 2.7.4.3 minor Plugin update to support merging Products in WP e-Commerce 3.8 with the additional of Permalink, Height, Length and Width dimensions. A duplicate SKU already already exists. I have permanently deleted all the products twice now to try to get this to work. 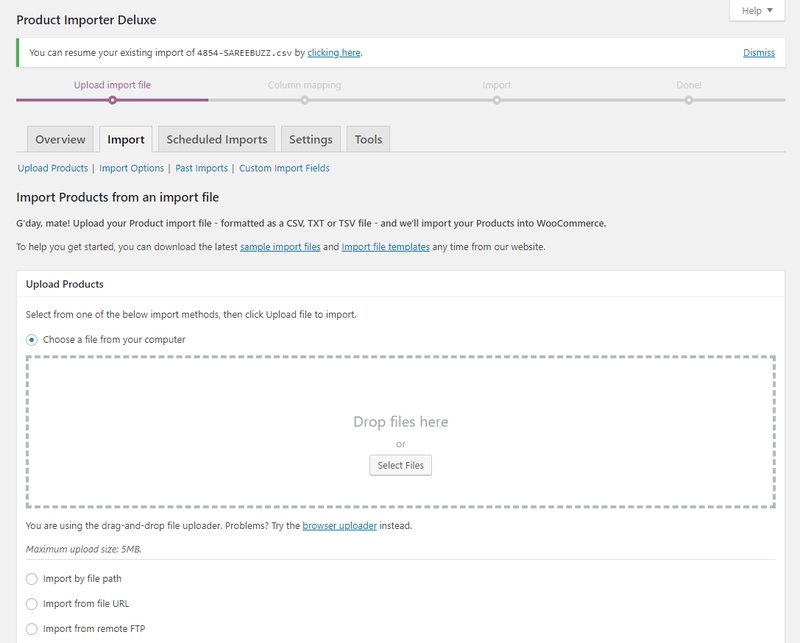 -upload is locking up (shows the “Grab a beer…” screen for a few seconds and goes to white) and only 28 of my 840 products are imported. 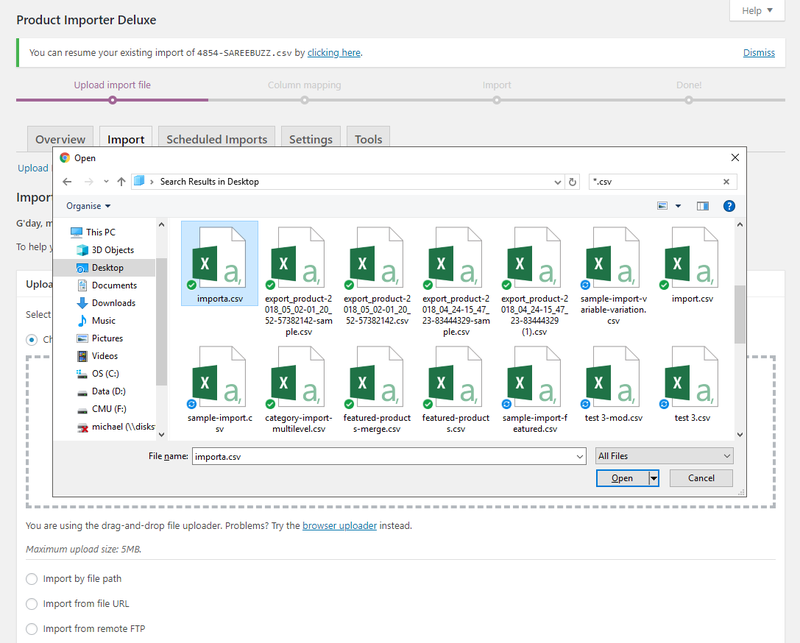 -I have tried importing just the minimun fields (sku, name, price, category) and that bumps me up to 84 of 840 successful imports. Still with no success or error message. * When merging changes into existing Products, NO changes (in price for example). 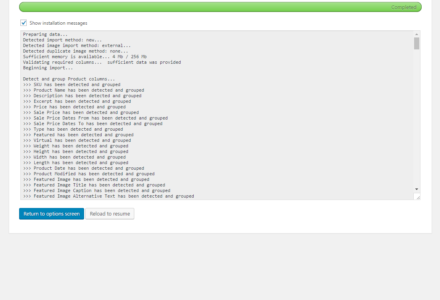 Message line saying : A duplicate SKU already exists. I’m having this same issue…right now – any luck? I’ve also tried reverting to 2.8.2 and it ended up making duplicates of everything. I had “merge” selected on step 2. Me too! 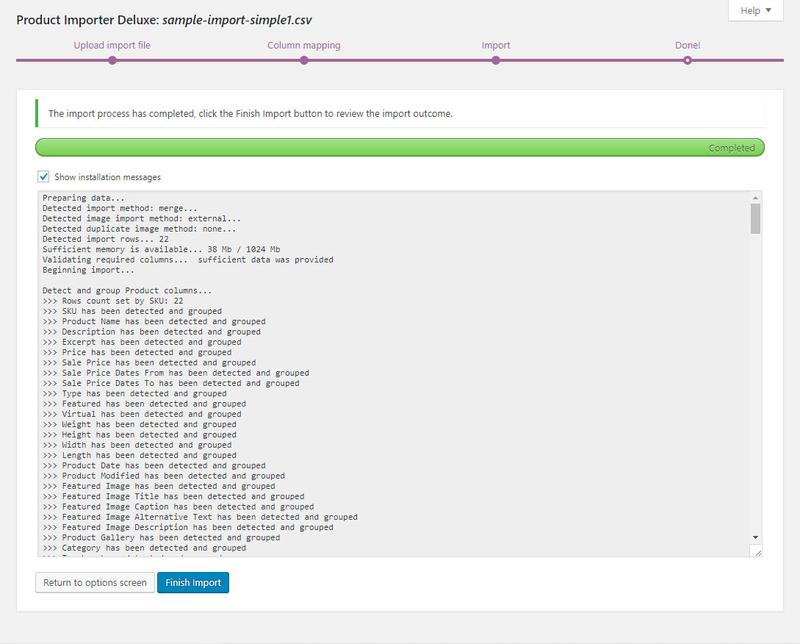 Same issue … duplicate SKU exists. I have even perm deleted and then re-imported with no avail. And the photos have been put into the folder with nothing appearing. that worked for me, anyway. 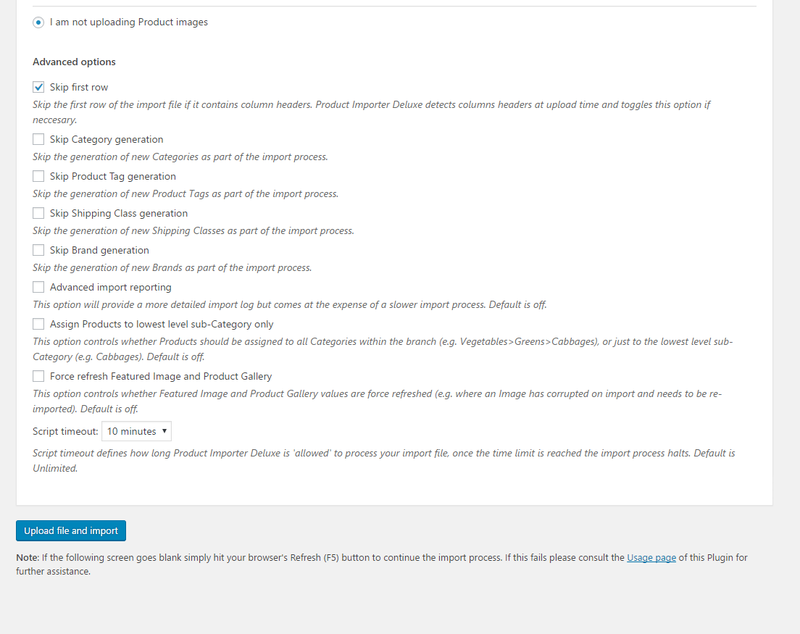 Hi Zachary, I can confirm that Product image import via CSV filename is working as expected; without adding ‘wp-content/uploads/2011/06/’ to the CSV filename. 4. Click ‘Are you importing images?’ then the first option ‘Assigned an image column for Products in the CSV file’. Which version of Product Importer Deluxe works for product merging? 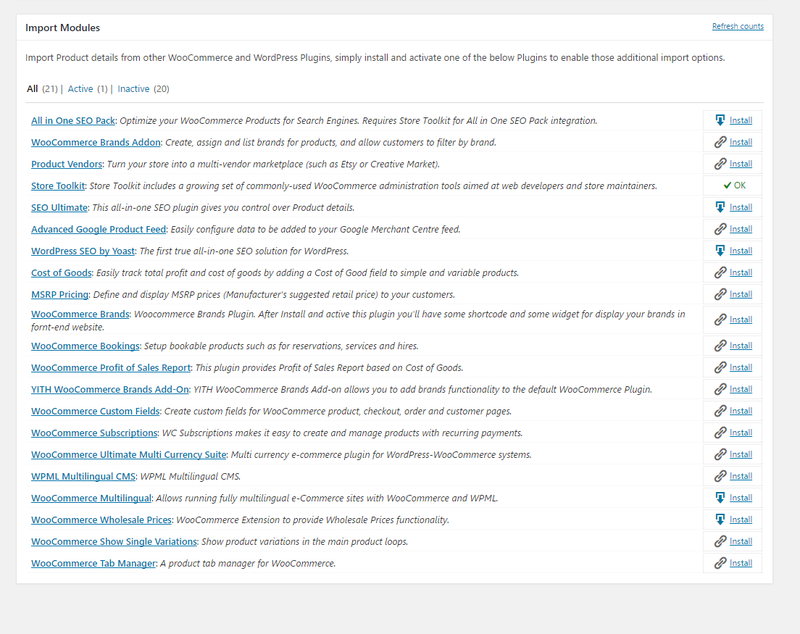 I have done a fresh install of WordPress 3.1.1 and tried both wp-ecommerce 3.8.1 with PID 2.8.4.1 AND 2.8.2 as well as wp-ecommerce 3.8.4 with the same two versions. 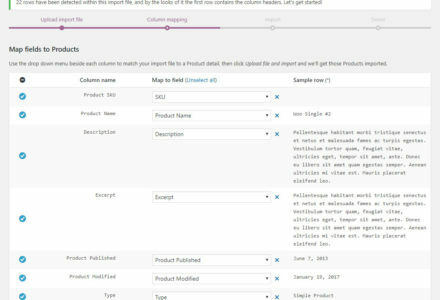 I have a test CSV with only 1 product in it. The file imports just fine (even with an image now, yay!) 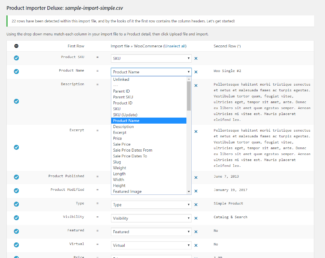 but when I change a number, price for instance, and re-import with the “merge” box selected, it merely creates a duplicate product with a new price. 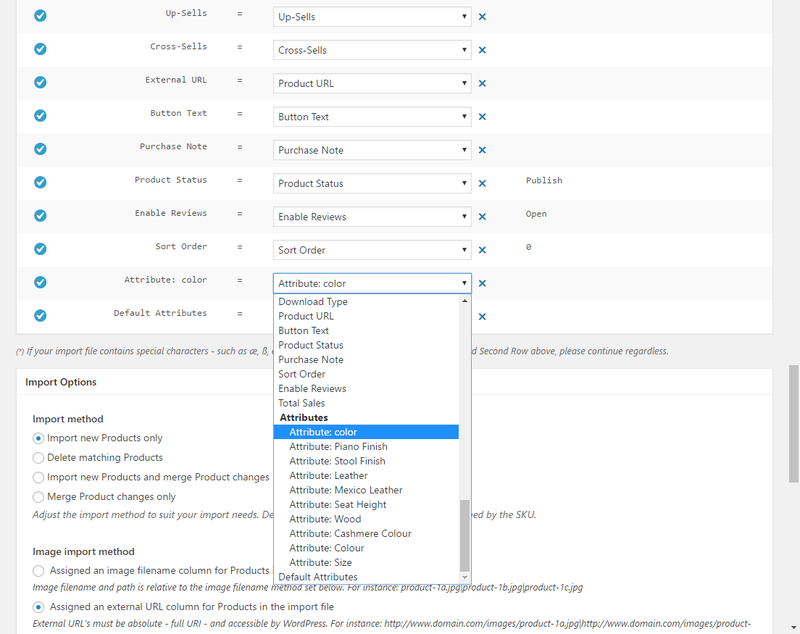 Hi NicoWeb, spotted the Additional Description, I had assumed it was removed in WP e-Commerce 3.8! It’s back in there, looking at merge support now. I still can’t get the “Additional Description” to import. Any ideas? 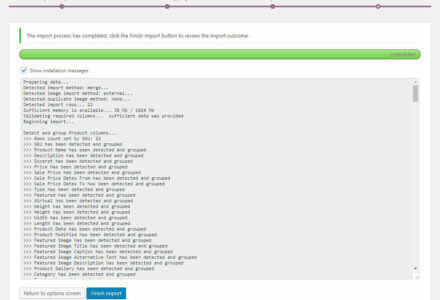 Blasting out the 2.8.4.2 Plugin update to fix Additional Description and merge support shortly. I upgraded 2.8.4 and now after selecting the corresponding columns of my csv, it goes to the next page, shows the loading bar (grab a beer, this may take awhile), than just stops. 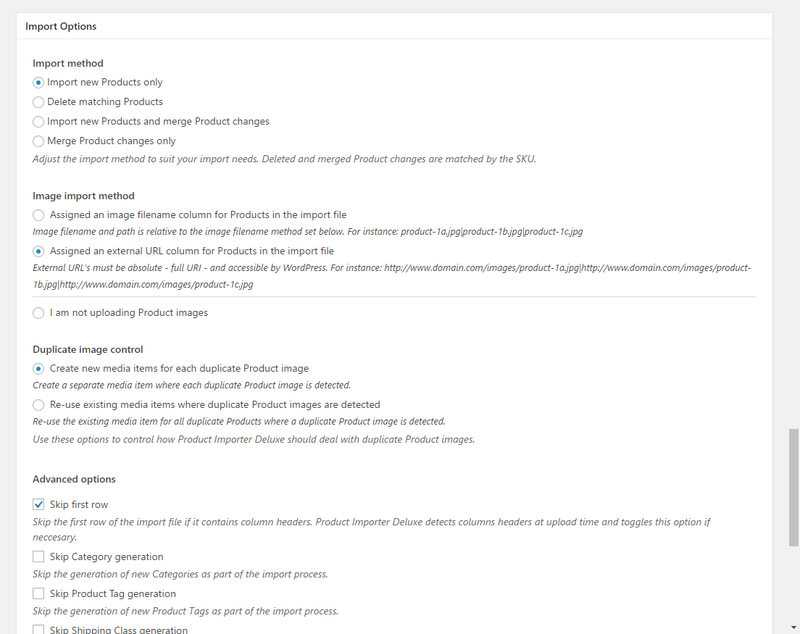 I had successfully imported over 200 products with 2.8.2 but my ftp’d images didn’t lined up. So I deleted them, upgraded, than tried importing them again with no luck. What am I missing? 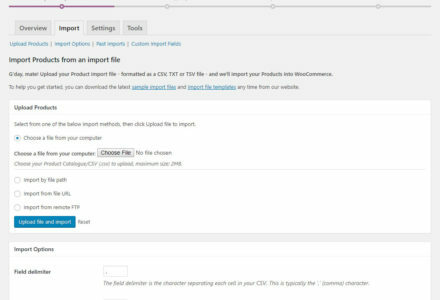 Hi Jeremy, there was an unclosed statement within the 2.8.4 import script, please update to 2.8.4.1, I’ll be putting out a few minor Plugin updates until 3.8+ support stabilises. 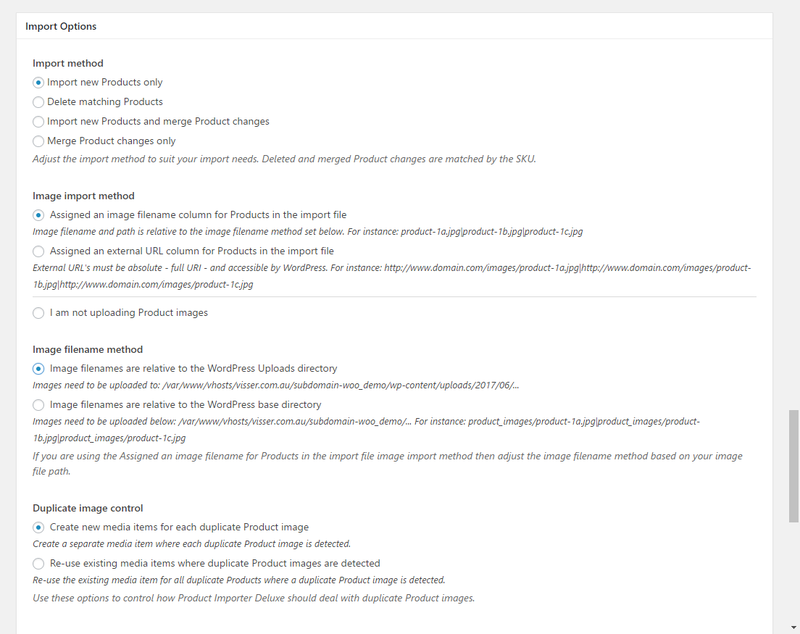 Great, so it imports again, but still doesn’t recognize my images. 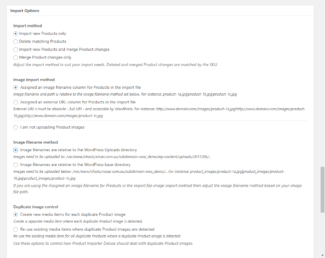 I uploaded all the images via the WP Media Uploader, verified they went to the /wp-content/uploads/2011/06 folder – am I doing something else wrong? Hi Jeremy, can you shoot me login details so I can diagnose this further, the CSV filename Product image method is working a treat here on my Windows and *nix test sites. 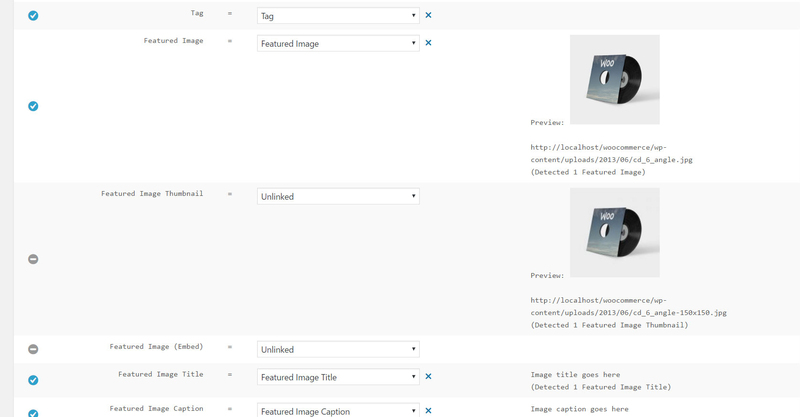 So I fixed all those in phpmyadmin, which got the images working, but the thumbnails are showing as the full image, so they’re all squished. Any way to fix that? Hi Jeremy, was this with the 2.8.4.2 Plugin update or an earlier release? Thanks Jeromy. having the issue described here, currently.